Quantic is the alias of the hyper-productive British musician, producer and DJ Will Holland, who in the last decade and a half has released 16 studio albums and countless excellent singles. 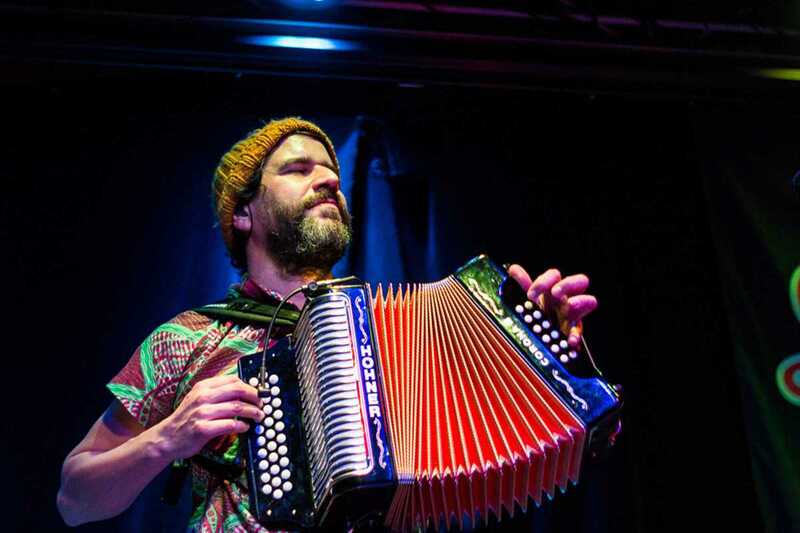 He has covered a huge range of musical genres: funk, soul, reggae, afrobeat, cumbia, salsa, jazz and tropical both as a solo artist and with his bands Quantic Soul Orchestra, Ondatrópica, Combo Bárbaro and Los Miticos del Ritmo. Probably Quantic’s best-known track is his collaboration with NYC producer Nickodemus, “Mi Swing Es Tropical” which received massive exposure after being used for an iPhone commercial. Fresh from playing at the Glastonbury Festival, this Quantic appearance at the Apolo will feature a four-piece band to promote the new album 1000 Watts on the Tru Thoughts label. This record has a more reggae direction and features many guest vocalists including U-Roy, Nidia Góngora and long-time collaborator Alice Russell, although the live show will feature highlights from all of his career.